These are digital photographs I snapped using a Sony Mavica digital still camera (MVC-FD-88) with built-in digital zoom (telephoto). Feel free to use them as you will. If you use them for commercial purposes I assume you'll disucss that with me. These are thumbnail previews. 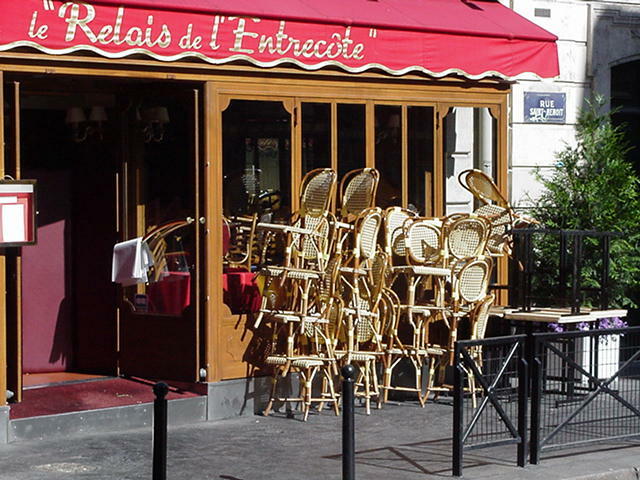 To see a full-size high-resolution version of a particular photograph click on the "thumbnail" image. You will see the full image in a separate window. 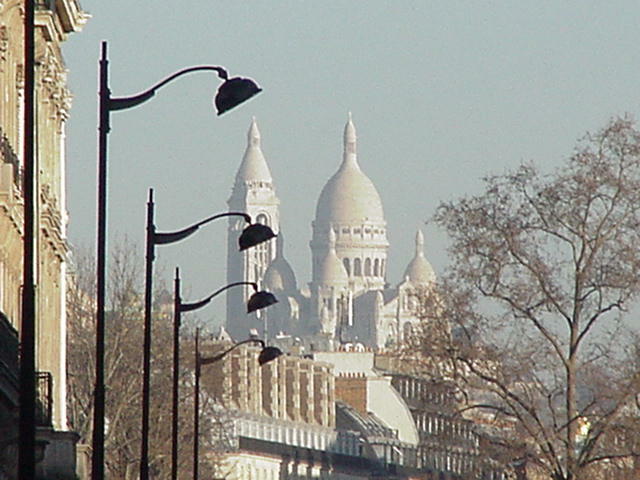 Paris, 20 December 2001, a telephoto shot from the Solféreno métro station in the 6th looking at the 18th. 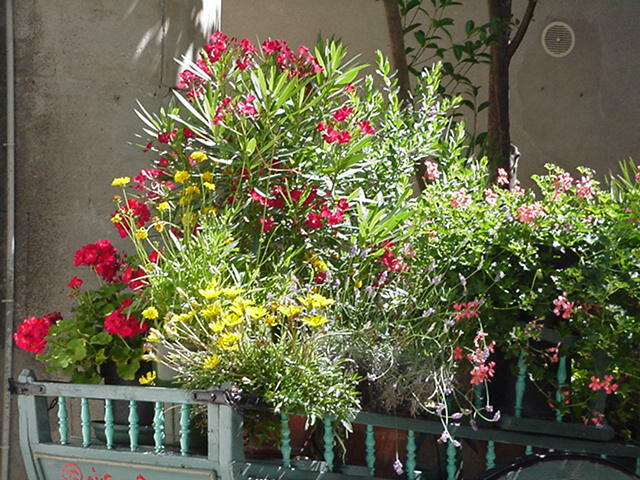 15 June 2000 in St-Rémy-en-Provence...the pleasant little village where Nostradamus was born, and where they locked up that artist fellow who cut off his ear (the asylum is still there) ... but this is just a cart of flowers in an alley -- something for tourists to "find" no doubt. 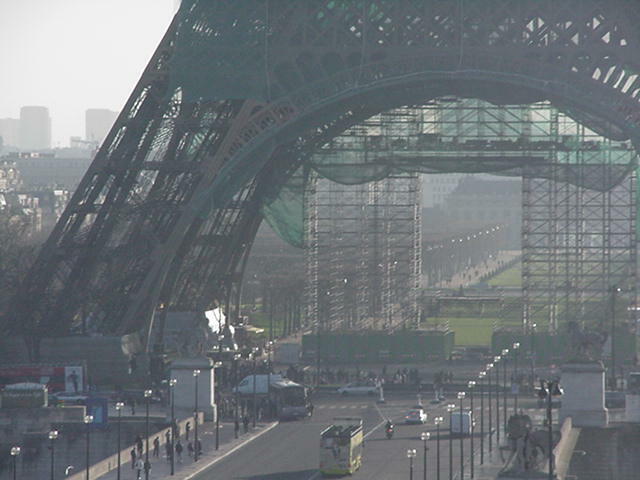 20 December 2001, Paris and the famous tower at mid-morning, and the scaffolding is there for the paint job they do every seven years... sort of brownish-tan this time. 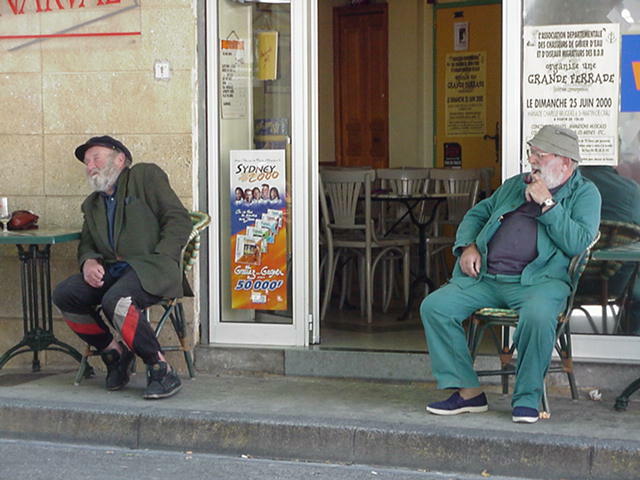 Two old guys on a hot afternoon in Arles. The guy on the right is smoking a pipe. I smoke a pipe. One day that'll be me?